As those who study the Church in the first half of the twelfth century soon learn, no matter what topic they start with, at some point they find themselves discussing Bernard of Clairvaux instead. 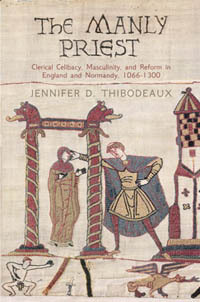 The towering reputation of the great Cistercian abbot easily overwhelms less colorful ecclesiastical figures, including Eugenius III, the first Cistercian pope. This impressive volume of essays goes a long way toward dragging Eugenius out of Bernard's long shadow. The essays are carefully chosen to cover the major points of Eugenius' career, so much so that the book can almost be described as an unchronological biography. Eugenius' job as pope was made more difficult by the fact that he had inherited poor relations with the Roman commune from his predecessors. As John Doran relates, by the time Eugenius took office the commune had re-established the Roman Senate and established an official known as the patricius, who had the right to all papal revenues except tithes and offerings from the faithful, and who also had the right to intervene in papal elections. This was a clear challenge to papal authority and Eugenius has been accused of being too weak to deal effectively with it, but Doran shows that he succeeded in getting the office of patricius abolished and made peace with the Senate, paying the salaries of the members and having them swear fealty to him, thus converting a once troublesome group into a civil administration loyal to the papacy. Eugenius also strengthened his hold over the papal patrimony, and Brenda Bolton demonstrates that he paid less attention to the frontiers and isolated strongpoints and instead created a dense checkerboard of fortifications throughout papal lands, acquiring territory by purchase, exchange, seizures of unredeemed pledges, and even military force. Bolton notes that the very fact that Eugenius resided outside the city for most of his tenure gave him exactly the local knowledge that he needed to carry out his program. Anne Duggan and Pascal Montaubin demonstrate the benefits of Eugenius' enforced exile in France in 1147-48. Montaubin explains that the special bond between France and the papacy was strengthened by the pope's presence while Louis VII was on crusade. Eugenius collaborated with the principal regent, Abbot Suger of Saint-Denis, designating him as a delegate of the pope and bringing the authority of the papacy to bear against anyone who opposed him. As one of her two contributions to this volume, Anne Duggan offers a delightful essay on the effect that the pope's presence had on the common people of France, who had the opportunity to experience the power and majesty of the papacy at first hand. The eye witness accounts that she cites show the respect and love that the people felt for Eugenius, and reveal him to be kind, approachable, generous, and congenial. Another group of essays focuses on the Second Crusade, which, unlike the First Crusade, included campaigns against the Muslims in Spain and the pagan Slavs in Eastern Europe. This crusade has been seen as belonging to Bernard rather than Eugenius, because the abbot of Clairvaux's preaching tour raised the great armies of Louis VII and Conrad III. However, Jonathan Phillips argues convincingly that the papal bull Quantum praedecessores was a landmark in the development of the crusading ideology. It was often cited in subsequent crusading bulls because it set the themes of knightly honor and family tradition. It improved upon the principles developed during the First Crusade regarding protection of the crusaders from lawsuits, usurious contracts, and attacks on their property. Perhaps most important, Quantum praedecessores extended the crusading ideology to areas other than the Holy Land. Andrew Jotischky takes up the related question of papal government in the crusader kingdoms of the East, noting that Eugenius continued the practice of his predecessors in settling disputes and other routine matters. 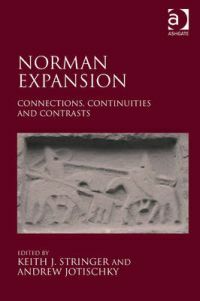 He includes a fascinating discussion of Eugenius' interest in Greek Orthodoxy and details his efforts at strengthening ties with the Armenian church. Bernard is also given credit for the northern crusade against the Slavs, because when he arrived at the Diet in Frankfurt in 1147, as Conrad III was preparing to leave for the campaign in the Middle East, he found some of the northern nobles reluctant to go along, preferring to continue their current efforts against the pagan Slavs across the Elbe River. Bernard immediately proposed that this could also be considered a crusade, deserving of the same privileges as the expedition to the East. Iben Fonnesberg-Schmidt points out that Eugenius was quick to agree, issuing the letter Divini dispensation and appointing Anselm of Havelberg as legate for the expedition, and by doing so recast the idea of crusading as warfare against the enemies of the Church, wherever they might be. Damian Smith rounds out the discussion of the three-pronged nature of the Second Crusade with an essay on the Portuguese and Spanish campaigns. Eugenius was less concerned with new conquests than with the problems of dioceses that were being re-established after having been reconquered from the Muslims. By interventions in local disputes and by the extension of his protection to local churches and monasteries, Eugenius increased the power of the papacy in Spanish affairs. Two essays touch on the vexing thesis offered by Constance Berman, which in broad terms argues that many of the primitive documents of the Cistercian Order are either forgeries or dated incorrectly and that the General Chapter did not exist at this early date. Stuart Morgan discusses the privileges granted by Eugenius to the Cistercian Order and concludes that the greatest advancement was in fact the confirmation of the Charter of Charity in the pope's letter of 1152, Sacrosancta Romana ecclesia. This letter, which Morgan confirms as genuine, recognized the disciplinary structure of the Order, including the General Chapter. Clare Oglesby takes up the related question of the General Chapter of 1147, which admitted Savigny and Obazine to the Cistercian Order, but rejected the English Gilbertines. Berman argued that this had to have happened later than 1147, because no General Chapter had the power to legislate before the 1160s. However, Oglesby notes that a mandate of Eugenius issued from the abbey of Saint-Seine confirms the surrender of the Savigniac houses to Bernard as abbot of Clairvaux, and that the Vita Prima places Eugenius at the meeting in 1147. Her close analysis of the itineraries of Eugenius, Serlo of Savigny, and Stephen of Obazine reveals the latter two had met with Eugenius before the General Chapter to secure his approval, while Gilbert of Sempringham did not. She suggests that this neglect, rather than some distaste for the Gilbertines' double monasteries of men and women, accounts for the rejection. Emilia Jamroziak explodes another myth in her discussion of the election of William Fitzherbert as Archbishop of York in 1140, which was bitterly disputed by the English Cistercians and called forth a flood of angry letters from Bernard of Clairvaux. His opponents accused Fitzherbert of simony and immoral character, but the sources offer no specifics. Jamroziak points out that Eugenius and Bernard shared concerns about the moral character of the clergy, as did the group of cardinals to whom Bernard addressed many of his letters. She concludes that the Order's objections to Fitzherbert were most probably just as stated in Bernard's letters. Two essays on law and theology by Anne Duggan and Christopher Egger respectively show that Eugenius' thought in these areas was markedly different from Bernard of Clairvaux's essentially monastic viewpoint. In De consideration Bernard had complained that Eugenius was allowing Justinian's laws to replace the Lord's at the papal court, but Duggan convincingly demonstrates that this trend was well underway before Eugenius became pope, and he and his advisers had little power or desire to reverse it. Similarly, when Eugenius was elected pope, Bernard painted him as homo rusticanus, unfamiliar with scholasticism and the learning emanating from the universities at Paris and Bologna. Christopher Egger notes that, while Eugenius himself was not an outstanding intellectual, scholars like Cardinal Robert Pullen were members of the curia and many other intellectuals dedicated their work to Eugenius. 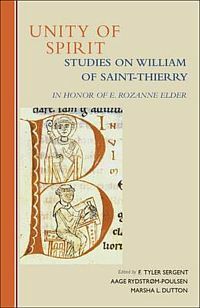 He views the heresy trial of Bishop Gilbert of Poitiers in 1148 as a defeat for Bernard because, although Gilbert had to revise his writings on the Trinity in accordance with a statement of faith produced by Bernard and his fellow monastics, he was not condemned outright. The outcome illustrates the extent to which Eugenius had emancipated himself from Bernard's influence and become much more than a "remote control pope." 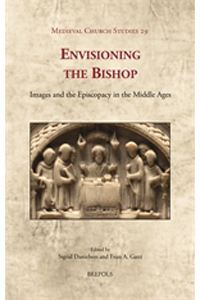 Bernard may have been the rock star of the early twelfth century, but this outstanding essay collection demonstrates that Pope Eugenius performed the hard work of diplomacy and administration and left the papacy stronger, more modern, and better organized than he found it. 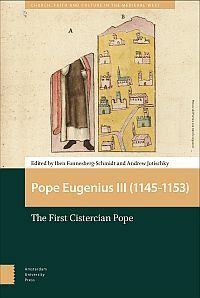 The great Cistercian abbot will always fascinate us, but this volume has made Pope Eugenius III a figure to be reckoned with in his own right.